Near the center of the west side of the temple wall is the five foot high stone image of Mumba Devi in orange colour. On normal days, i.e. not the festival days, the goddess is dressed in a white saari and blouse with a gold necklace and a silverThe Mumba Devi temple, where the city gets its name from, is in a crowded street in Bhuleshwar. 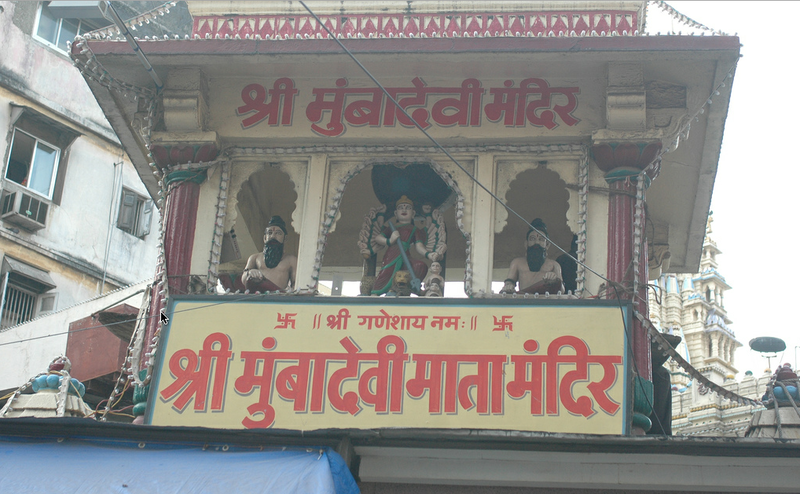 Every Tuesday, there is a large gathering of devotees and you will have a hard time getting inside the temple during Navratris (The Festival of Nine Nights, towards the end of September). 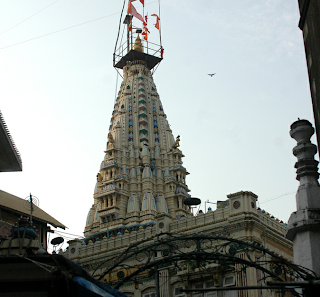 The temple also houses other gods such as Sri Ganesh, Sri Hanuman, Sri Balaji (a form of Vishnu). crown. However, on special occasions she wears a special handwoven silk saree and several ornaments from the temple's custody.